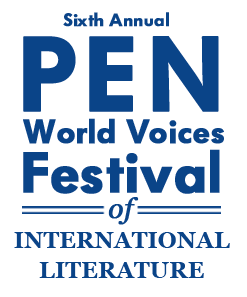 Mark your calendars: The schedule for the PEN World Voices Festival was released today. You can read it here. A few of the writers featured include: Mohsin Hamid, László Krasznahorkai, Andrea Levy, Yiyun Li, Daniele Mastrogiacomo, Sofi Oksanen, Atiq Rahimi, Salman Rushdie, Alberto Ruy-Sanchez, Patti Smith, Andrzej Stasiuk, and recent Publishing Perspectives contributor Miguel Syjuco. The Festival takes place April 28-May 2 in New York City.